Our professional mobile dashcam installers will fit your dashcam directly to your car electrics for a seamless and more reliable integration. They come direct to you at a time and place that is convenient to you anywhere on the UK mainland. No more wires and clutter on display, plus get free delivery on your camera order! Nationwide mobile installation - we come to you. No further charges for faulty installation under warranty*. Free delivery on your camera order. All makes and models of vehicles and dashcams. We've teamed up with an auto electrical specialist to offer our customers a fully integrated and seamless dashcam installation. 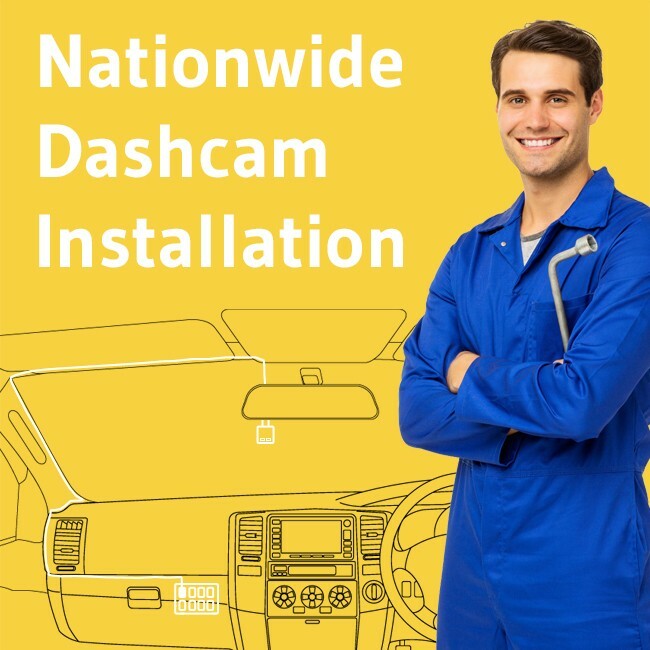 Our mobile installation experts have years of experience fitting dash cams to all makes and models of vehicles from cars to HGVs. We're also mobile so we come to you at a time and place that's convenient, either at home or at work. We cover all of the UK mainland and fit Monday to Friday. If you book and buy your camera with us, you'll also get a full warranty on your installation for the entire duration of the camera warranty (usually one year). This means you won't pay any further charges for installation faults. You will need to decide whether you want the camera to come on and off with the ignition or if you want the camera to be permanently live. 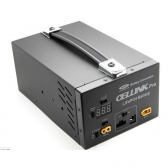 If you want to benefit from parking protection mode you will need the camera to be powered at all times but you will also need a hardwire kit that detects when the battery is reaching a dangerously low level and automatically cuts the power to the camera to prevent the battery from going flat. Plus, if you order installation at the same time as your camera you'll benefit from free delivery on your camera and accessories! If you have more than one camera (either single or dual lens) to install make sure to enter the correct quantity. Important - please make sure you have the correct hardwire kit (see below) otherwise the installation will not be able to go ahead and you will be responsible for a cancellation fee of £60.00. Please contact us if you're unsure or for a quote. Have you got a hardwire kit? For a professional car camera installation you will need a hardwire kit which can be purchased at the same time as your camera. 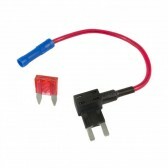 For installation, we recommend the 12V Cigarette Lighter Power Socket Adapter which will work with any dashcam. If you want to power the camera at all times to take advantage of parking protection, we recommend the BlackVue Power Magic Pro kit. If you do not have a hardwire kit, your installation may incur additional costs on the day for any additional hardwiring equipment. You will receive a confirmation email from us confirming your installation service. As soon as your order has been dispatched, we will pass your details our booking team, who will be in touch within 48 hours to arrange the installation. If you haven't ordered a camera or accessories, your details will be passed on the same day. They will contact you within 4 working days to arrange a suitable date and time. The installer will arrive, install your dashcam, and test it works OK. That's it. You can cancel the installation at any time before the day of the appointment. After this, a cancellation charge of £60 will be payable. If, for any reason, the installation cannot be performed due to the engineer being unable to attend you will be refunded in full. The installation warranty requires that the installation is not tampered with in any way. The installation warranty does not cover replacements to the camera should it be faulty. If the camera or hardwire kit is deemed faulty and additional installation callouts are required, you will be charged for these callouts. If the installation has been modified or tampered with, the warranty will not be valid and a callout charge of £80 will be payable. Installation costs are not refundable even if the camera is faulty and has to be returned. If your car is sensitive to power and additional wiring equipment is required this is not included and you will need to pay for the additional wiring equipment. Due to the nature of mobile installations our installation partner is unable to confirm an exact time for the install. They will usually provide a window but this may run over so please make sure you are free for the entire day. * The installation warranty covers the faults with the installation and not the equipment (camera or wiring kit). If the equipment is deemed faulty, you will be responsible for any further installation callouts, if required. Read our full installation terms and conditions. Will this cause a problem with my warranty? Thanks for your question, in most cases having a dash camera professionally fitted will not cause an issue with your warranty. We would recommend that you purchase some piggy back fuse adapters along with the installation and check with whom ever the warranty is with i.e. your dealership.